We’re just a day shy of Marty Mcfly’s arrival – October 21st 2015 – and though there are no hover boards or flying cars – YET – we now have something straight from a science fiction movie: a portable Structure Sensor for the iPad. 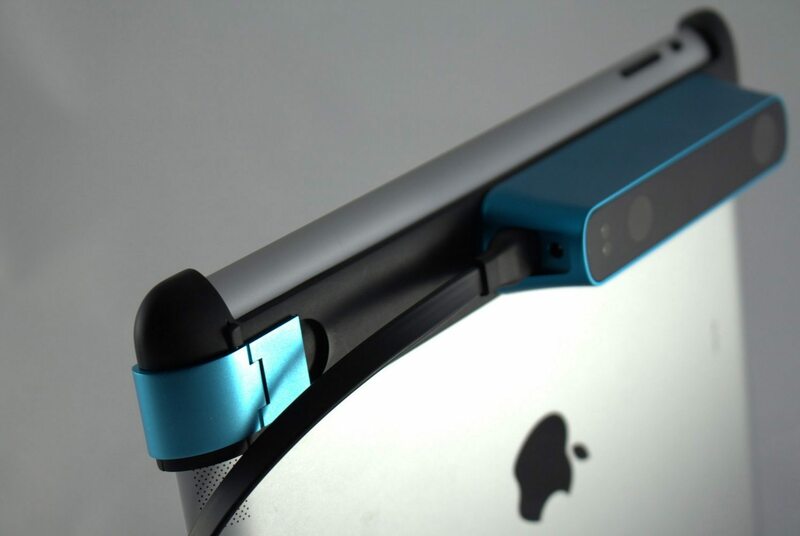 The Structure Sensor is created by Occipital, and it’s nothing short of amazing. 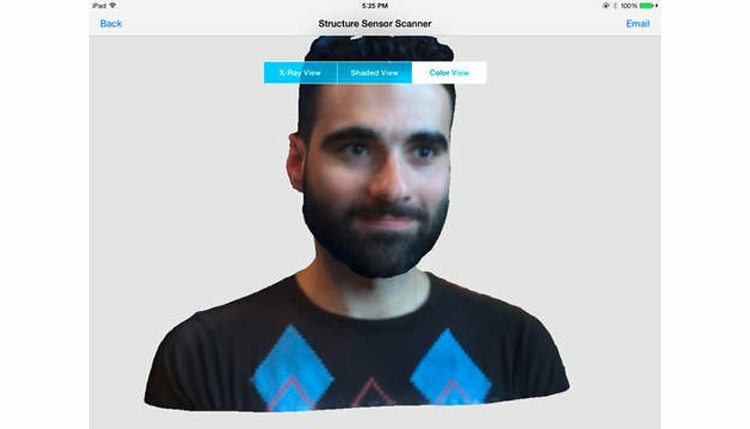 Barring other hardware which claim to be one, it is the world’s first 3D scanning sensor for mobile devices and with it, you can quickly capture the dimensions of objects and environments in just a single tap of the touch screen. Collectively, people agree it’s a great device: ask the 3,500 backers who pledged over a million dollars to fund the project on Kickstarter. It is a great product and one that is sure to change the world someday. However, what exactly is it and how does it work? Is it worth having and can you use it in real-life? Let’s check it out. What is the Structure Sensor? This device is an accessory for iPad models and variants with Lightning ports, including the 4th generation iPad, iPad Air, iPad Air 2, and the iPad mini models (2-4). It may also be compatible with the yet-to-be-released iPad Pro, which also has its own Lightning port. It’s intuitive, does not require much tech know-how to use, and is worth the $379 (or $499 for the launch bundle) price tag. It is available in two colors, silver and blue. How does the Structure Sensor work? Infrared technology in mobile devices was once used to help transfer files – like thumbnail images – and you would be required to place both devices side-by-side. Nowadays, technology has advanced way beyond our imaginations that it’s what the Structure Sensor for iPad uses to measure things. The accessory uses the iPad’s camera to capture and display 3D scans. It works by casting thousands of infrared dots (which are invisible) on a space or object. The accessory then uses structured light, another tool in its arsenal, to record the distance between each dot of light and the camera to create a 3D geometric pattern which is then uploaded into the iPad. The sensor has a range 12 feet and is only well suited for closed environments. It also has an internal battery which can last for up to three to four hours – it has an internal battery which can be charged with a power adapter which comes with the device. As mentioned earlier, it captures and senses the dimensions of objects around you. For example, you could measure the length of the pen sitting across the table from where you’re from or by measuring the dimensions of your room. You can even use to measure the dimensions of somebody’s body – think of the comical results it can give if you use to measure your life partner’s statistics (which I’m sure most people would do first). According to the official website, it not only captures a single object, it does so for all the objects in a single room at a single read. With this accessory, there may no longer be any need for conventional materials, such as meter sticks and tape measures. With it, you can simply use precise digital measurements without exerting physical effort. Although the official website does not say so, we can safely assume that the recorded models can be replicated with a 3D printer. It’s easy to set up the Structure Sensor for the iPad. Before you can use it, you have to download the accessory’s official application for the iOS (here’s the iTunes store link). This allows you to capture 3D models of the captured objects and people. Take note that this app only takes seconds to create high definition models: you would not have to worry about standing up for half an hour trying to take the dimensions of the coffee table you just bought. The manufacturers recommend that you install the Calibrator app as well. This is to make sure that colors and textures it captures are accurate. The Structure Sensor for the iPad can also be used for other endeavors, like games. By installing the Fetch app on your device, you can scan a part of your environment and use it in the game world. We’re not sure how many developers support this feature, but the manufacturers have opened up their source code and let other app creators access it, paving the way for them to create applications which can support the device. So basically, it supports augmented reality games. There aren’t a lot of them out there – the most popular one out there is none other than Ingress. Another one is slated to come out next year and it has been hyped as the next big game on the iOS: Pokemon Go – which will be created via a joint partnership between Nintendo and Niantic Labs, creator of Ingress. It will be released next year. Note that it can also be used with the Oculus Rift, which we presume is the prototype of virtual reality platforms. If you have a 3D printer with you, then definitely, it’s a must have. However, if you don’t have one, is it still worth it? If you’re in the real estate business and are constantly measuring rooms and objects, then yes, it’s a practical accessory, worth the price tag. Like most digital devices, it may be perceived as unnecessary, but with further improvements and app developments, it could become a major necessity in the near future. Regardless, you can have a lot of fun with it, especially when it comes to measuring stuff and playing games. Overall, this device is one of the most advanced accessories you can ever buy for under $500. With this piece of technology, one can only imagine the next installments and other inventions that can come within a decade or two.